Two book covers…………I’m so pleased that two of my paintings were chosen last year to grace the covers of poetry books. I’m not sure they are in stores or available quite yet but they have been printed and I have my copies. 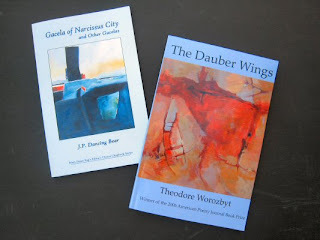 The Dauber Wings by Theodore Worozbyt, is the winner of the 2006 American Poetry Journal Book Prize. It is published by Dream Horse Press. My painting is titled Pieces of Red 5. 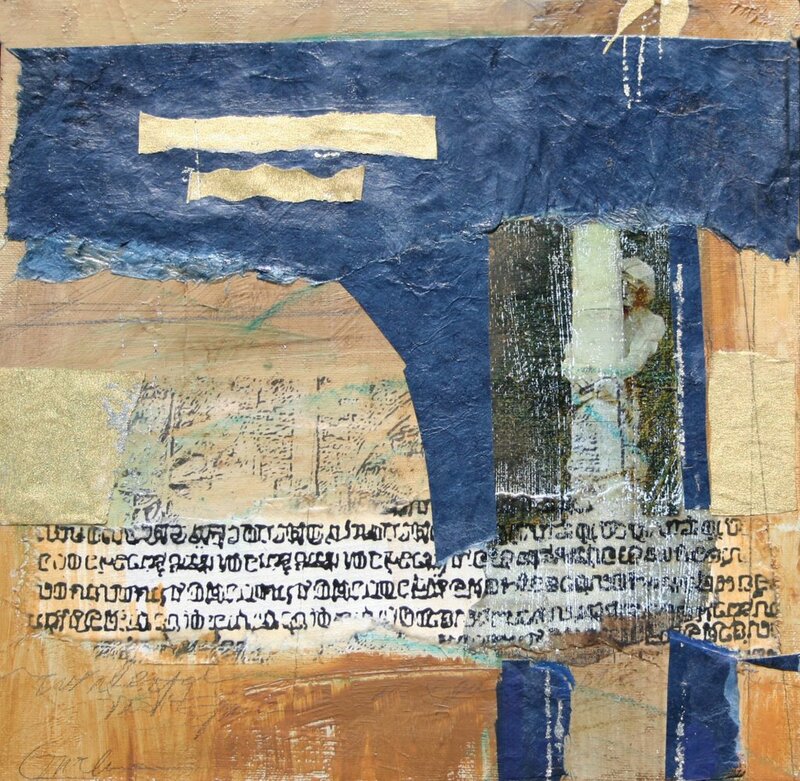 It’s available from Brunner Gallery in Covington, LA. J. P. Dancing Bear’s, Gacela of Narcissus City and Other Gacelas, is the Main Street Rag’s Editor’s Choice Chapbook Series.My collage titled Aftermath is the cover art work. 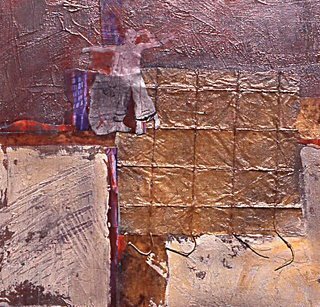 This work is available through my studio. 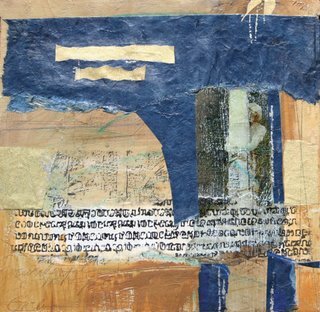 I have two mixed media collage on canvas pieces (12 x 12″) that are in a National Association of Women Artists Small Works show at the Karpeles Library Museum in Newburgh, NY Sept 3-30 and then it moves to the Port of Call Gallery in Warwick, NY October 7-November 5 if anyone will be in that area around those times. In case anyone reading this lives near there and you get by to see the show, let me know how it looks.